1. I now have my teaching blog up and running! Let me tell you, I wasn't sure I would have it going this early, but I felt really inspired this week and thought to myself, "What the heck! 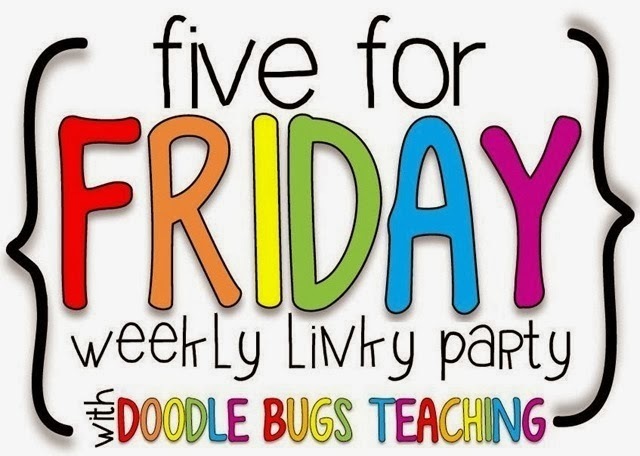 I'm doing it this week!" I forgot how hard it is to get your blog going in the beginning. (I started another blog about a year ago when I was staying at home with my kiddo. It's mostly product reviews, giveaways, crafts, and recipes. You can check it out here.) 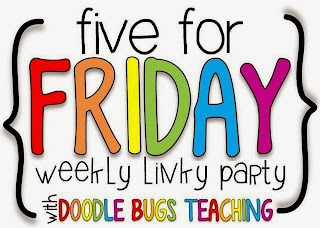 I know with time my little blog will grow and until then I hope I can just show all you awesome teachers out there some more fun ideas that I try to use in my classroom. 2. I just posted my new Thanksgiving Themed Math Centers in my TpT store! I started using these in my class this week. My students love it when we do Math Rotations! We don't get to do them everyday, but when we do they are always diligently working. I love that these centers offer some great review of what we learned a little earlier this year. Enter for your chance to win them below! 3. 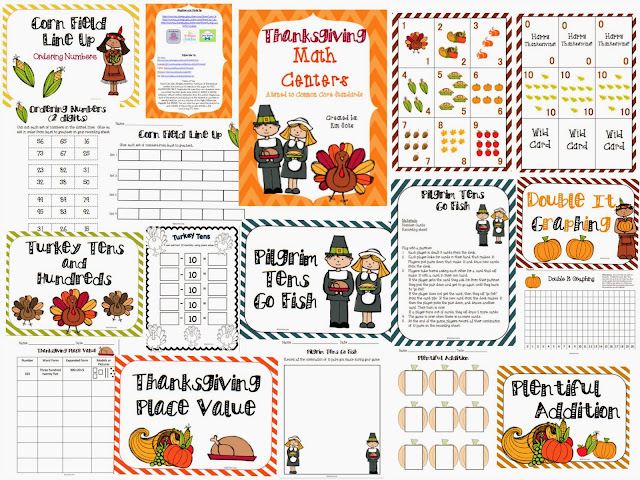 I also have my Thanksgiving Math Worksheets Pack available in my TpT store. You can check them out here. 4. My little kiddo is a full blown walker now! I swear, everyone kept telling me I didn't really want him to start walking, but I seriously did. My little guy is not tiny- he's almost 14 months and already weighs about 26 lbs. Let me tell ya- that's heavy to be carrying around all the time! 5. Tomorrow I'm running (I say running, but I really mean slow jog/walking) a 5K tomorrow morning. It's a Motion in Color run, so I thought it would be a fun way to get motivated into working out again more often. I'm looking forward to being covered in color! The hubster and little guy are going to come cheer me on. 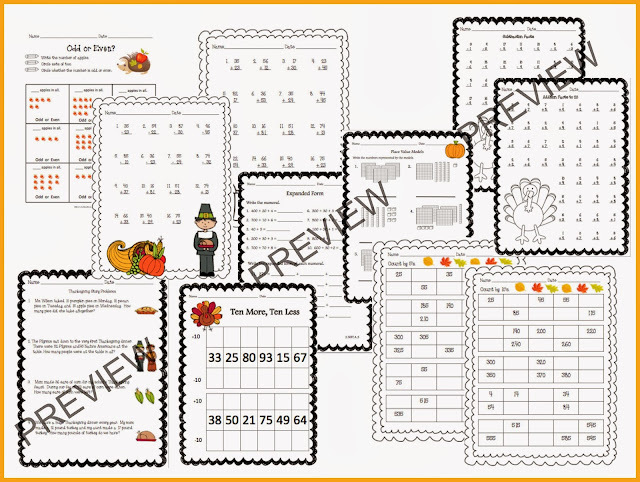 Don't forget to enter to win my Thanksgiving Themed Math Centers! Giveaway ends 11/13 at 11:59 p.m.